The London 2012 Organising Committee (LOCOG) announced the new route for the Olympic cycling road races on Thursday with The Mall as the starting and also the finishing point. The London Olympic cycling road race is a mass start race for men and women, provisionally scheduled to take place on July 28 and 29. The events will start and finish on The Mall in central London, a location well used to hosting the start and finish of major cycling events. The riders will race around a course that passes through six London boroughs – Westminster, Kensington and Chelsea, Hammersmith and Fulham, Wandsworth, Richmond upon Thames, and Kingston upon Thames, before heading into Surrey and through the districts of Elmbridge, Reigate and Banstead, Guildford, Woking and Mole Valley before returning to central London for the finish. The course will also pass through Richmond Park and Bushy Park. 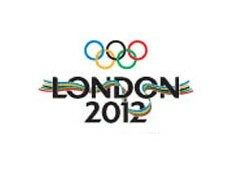 LOCOG chairman Sebastian Coe said, "This extends the Games into the south west of London and Surrey. We are delighted to be bringing such high profile and exciting events here, and which will be bringing the road race into challenging cycling terrain through many new boroughs and districts. Following our medal success in Beijing, the road cycling events really will bring the magic of the Games to life for many thousands of spectators." Pat McQuaid, President of the International Cycling Federation (UCI) said, "I think this route will produce an extremely exciting Olympic Games road race, and especially with the circuits of Box Hill it will be a worthy winner of both the men’s and women’s gold medals." The men’s race is set to take place on July 28 and last for approximately six hours with 250 km in length and 145 riders in contention. The women’s race will be held on July 29 and last for 3 and a half hours with 140 km in length and 67 riders.